The 8th edition of the Smart City Expo World Congress (SCEWC) took place in Barcelona from 13-15 November with the purpose of presenting how cities are transforming themselves to reach a smart and sustainable environment. Under the theme “Cities to Live In”, this congress gathered over 21,000 visitors from 140 countries. The event was focused on reflecting how a habitable city is regarding 5 general topics: digital transformation, urban environment, mobility, governance and finance and inclusive cities. REPLICATE project co-financed within the Horizon 2020, contract number 691735 (European SCC1 Smart Cities and Communities call) and coordinated by Fomento San Sebastián participated on the stand alongside the 14 lighthouse projects approved in the different SCC1 Smart Cities and Communities calls, the EIP-SCC (European Innovation Partnership for Smart Cities and Communities) and SCIS (Smart Communities Information System). This is the third year that Replicate participates in the congress. In addition to exchanging experiences with the rest of the projects and informing those interested about the Replicate project, several workshops were carried out, which addressed the main implementation areas of the project: energy efficiency, sustainable mobility and ICTs/Infrastructures and also the cross-cutting activities. 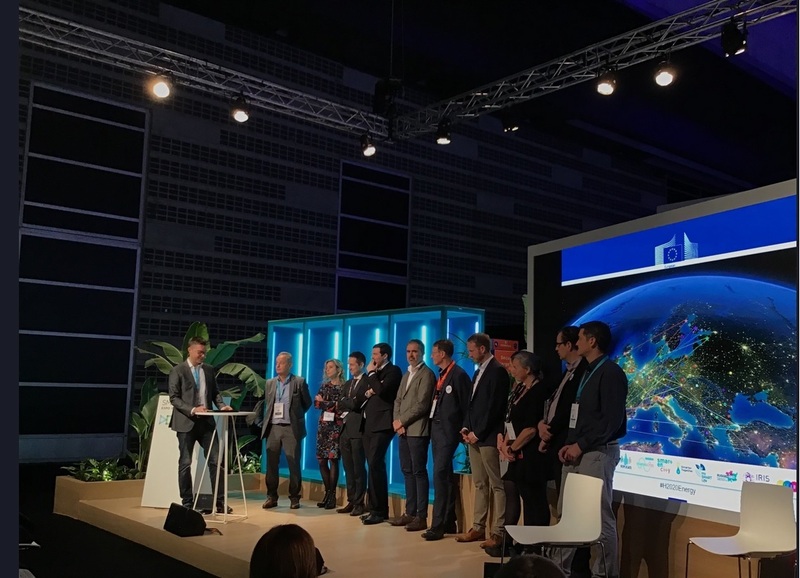 The three lighthouse cities, San Sebastian, Florence and Bristol, as well as other partners in the project participated in the stand: Ikusi, ESADE and Technomar. Replicate participated in the workshops about Smart services related to mobility, as well as in sessions on communication, citizen participation and replication and business models. On the other hand, Replicate, represented by Fomento San Sebastian, participated in a session on the replication of smart solutions at the AGORA auditorium, along with the other coordinators of lighthouse projects. Moreover, the SCC1 projects worked together to enhance the impacts and benefits achieved through the project. Key challenges for Smart and Sustainable Cities are to provide solutions to increase cities’ energy and resource, mobility and ICT’s solutions, improving the economic, social and environmental development in the cities. SCC01 coordinators meeting took place as well as the Communication and Dissemination Task Group.